Welcome to the North Georgia Mountains! Thank you so much for visiting Mountain Home Resales. If you are looking for a small vacation retreat, a full-time home for your growing family, your retirement dream home, or even a beautiful lot to build a new house or cabin, you are in the right place. 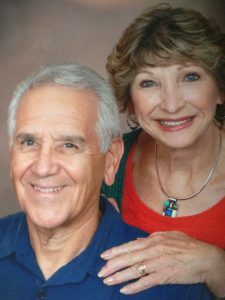 We have lived and worked in the idyllic North Georgia mountain community of Big Canoe since 2001, and I am delighted to help you make your mountain living dream come true. On this site you’ll find the complete MLS listings of all of the homes and lots that are currently for sale in Big Canoe. You’ll also find listings for the surrounding areas of Jasper, Bent Tree and Dawsonville. Have a look at a few of our Featured Big Canoe Homes for Sale. All properties are pulled from the Active Listings FMLS data base. Be sure to check back often, as our Featured Properties are updated on a daily basis. For a specific price range or a customized search, see the menu tabs and customized search criteria on this page. “Living in and Loving Big Canoe and the North Georgia Mountains. A friend introduced me to Big Canoe in the mid-‘90s, and I was so impressed by the beauty of the place, that a few years later I brought my then fiancé, Peter, up from Atlanta to have lunch and enjoy the scenery. 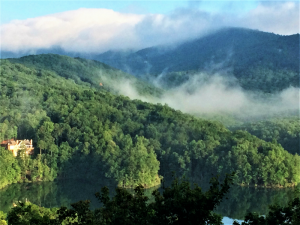 We both fell so much in love with the spectacular beauty and serenity of Big Canoe, that within a few hours, we were excited owners of a forested lot overlooking a gorgeous lake surrounded by the foothills of the Appalachian Mountains! The pristine community of Big Canoe was developed by Cousins Properties in the 1970s in the foothills of the Blue Ridge Mountains as a resort community with some timeshares, a few condos and rustic weekend cabins, and a handful of full time residents. 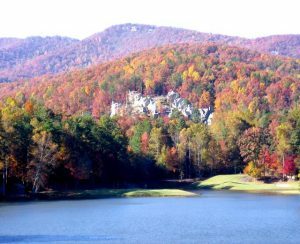 Today, the gated community of Big Canoe encompasses over 8,000 acres, encircled by eight mountains ascending to 3,200 feet, and cradling three teal-blue lakes. Over a third of the property is preserved as natural woodland and recreation areas. Co-existing in the pristine beauty of the natural environment are deer, wild turkeys, black bears, red foxes, a huge variety of birds, and over 5,500 full time and part time residents. Situated only an hour from Atlanta, visitors are lured to this mountain paradise by its pristine lakes, year-round mild weather, abundant wildlife, and rich natural environment. With the exception of a few condo units and an assortment of delightful cluster home “villages” scattered about, Big Canoe homes are nestled on at least three-quarter-acre lushly wooded lots. While every home setting offers serene beauty, some homes command spectacular mountain, lake or golf course views!